The hedge fund, known for its activist approach, thinks LPL's shares are undervalued. LPL headquarters in San Diego. 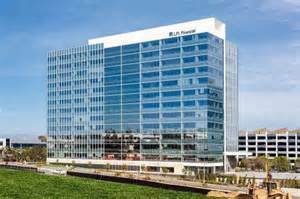 Marcato Capital Management has taken a 6.3% stake in LPL Financial, according to regulatory filings. As of Tuesday, the San Francisco-based hedge fund, which is run by Mick McGuire and known for its activist approach, owns some 6 million shares. Marcato, which Reuters has called “one of the country’s hottest hedge funds,” thinks the independent brokerage’s shares are undervalued, according to a report in The Wall Street Journal. In the filing with the Securities and Exchange Commission, Marcato said it may reach out to LPL regarding the independent broker-dealer’s corporate growth strategies. “LPL Financial maintains an active and ongoing dialogue with its investors and values their input as we work toward the common goal of driving stockholder value,” the company said in a statement. LPL’s top institutional holders, as of June 30, were SPO Advisory Corp. (9.2%), T. Rowe Price Associates (8.4%); Janus Capital Management (6.7%), Vanguard Group (5.4%), Invesco (4.6%) and Morgan Stanley (3.9%), according to Yahoo Finance. The IBD’s shares traded up about 1.5% Tuesday after the news broke to about $41 per share. Last week, LPL named Emily Gordy executive vice president and deputy general counsel. Gordy joined LPL from Shulman, Rogers, Gandel, Pordy & Ecker. Prior to this role, she spent 27 years as a regulator for the Financial Industry Regulatory Authority. In addition, she worked for its predecessor, the National Association of Securities Dealers, and for the SEC. In 2014, LPL spent $36 million on regulatory charges. Recently, it has added nearly 400 employees to its compliance, legal and control staff. As a result, the IBD “tracked several areas of exposure generally involving the thoroughness or completeness of our processes and systems of supervision and surveillance of several complex products,” according to Chairman & CEO Mark Casady, who discussed compliance matters with equity analysts after the firm released its second-quarter earnings in early August. As for the expected fiduciary standard being hammered out by the Department of Labor, LPL should have the “scale and flexibility” to adjust. Its assessment is that the current proposal’s restriction on alternative investment sales, for instance, would have an impact “of 2% or less” on its pretax profit, Casady explains. The company adds that it expects its 2015 regulatory outlay to be lower than in 2014 and that its 2016 expenses in this area should “be meaningfully lower than the elevated levels seen in 2014 and 2015,” according to interim CFO Tom Lux, who also spoke with analysts last month.